Swimming is one of the most popular and favourite sport of the Australians. During summers, thousands of people flock on the sandy beaches of Australia to enjoy swimming and other sea adventures. Swimming in Australia is a major adventure and sport because the Australian country has 35,000 km of coastline. Australians are taught the art of swimming from a very young age and there are many famous Australian swimmers who have participated in various national and international swimming championships. In Australia swimming in the surf during day hours was regarded to be illegal before the year 1902. In 1902, this law was defied by a man who entered the Manly Beach during midday, and slowly surf bathing gained popularity on the Australian beaches. In the year February 1906, the first surf lifesaving club was established on Bondi Beach in Australia. Thereafter a Surf Life Saving Association was founded in 1991 in Australia which later changed its name to Surf Life Saving Australia and became the governing body of surf life saving clubs. Swimming in Australia is a common form of exercise and is very popular among people of all ages. Many Australians are members of various swimming clubs found all over the country and take part in swimming competitions and carnivals. There are many swimming pools all over the country where people practice and enjoy swimming. Swimming is also one of the eight founding sports of Australian Institute of Sport which is a world renowned association aiming towards the development of various sports activities. The residential program of AIS is devoted towards promoting excellent swimmers. Swimming is also a popular sport in the Olympic Games and Australian swimmers have been a regular feature at the games. Australian swimmers won two gold medals at the 1900 Olympic Games held in Paris, which was the second Olympic games. At the 2000 Sydney Olympic Games, Australia won five gold, nine silver and four bronze medals at the competition. The national swimming team of Australia is called the Telstra Dolphins. The members of the team participate in the Pan Pacific Championship, Commonwealth Games, World Titles and Olympic Games. Swimming in Australia is a major sport and the country has produced many legendary swimmers like Murray Rose, Dawn Fraser and Ian Thorpe. Dawn Fraser is undoubtedly the most famous Australian Olympian. She has won eight medals at the Olympics and six gold medals at the Commonwealth Games. Fraser also has 27 individual world records. Murray Rose is also a famous Australian swimming legend who had won three gold medals at the 1956 Melbourne Olympic Games. He has set 15 world records all throughout his swimming career. Ian Thorpe, the famous 21st century swimming icon who is one of the most renowned sportsmen of the world. Thorpe holds the record for the 200 metres, 400 metres and 800 metres freestyle championships. Till the end of winter 2003 season, Thorpe has successfully broken 22 world records and won three Olympic Gold medals. Ian Thorpe has won many national as well as international awards including the American International Athlete Trophy in 2002 for the �World�s Most Outstanding Athlete�. Swimming Australia is the leading governing body which manages the swimming competitions. This association currently has 90,000 registered members from all over the country and in 1100 clubs outside the country. The chief sponsor of Swimming Australia association is Telstra. 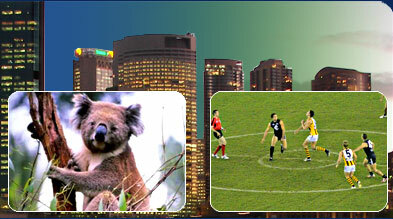 Swimming in Australia has and will always remain a sport which is very close to the heart of thousands of Australians.